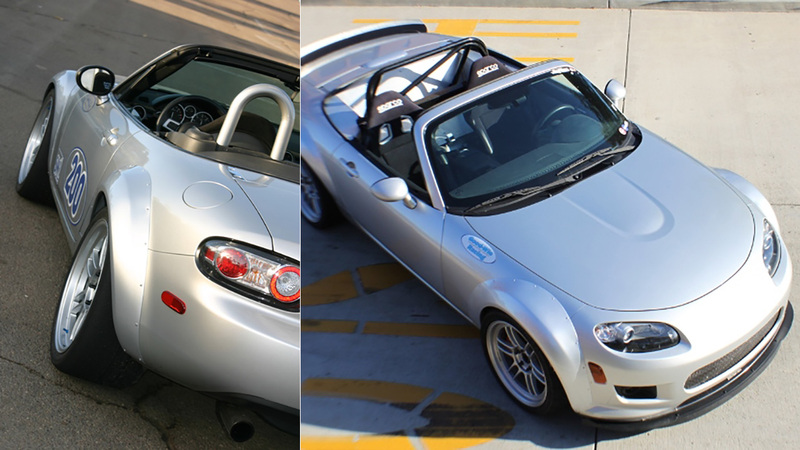 These fender flares give a very aggressive look to your MX-5, and also allow you to run BIG rubber. These are manufactured in the U.S. from gel-coated fiberglass and come with rivets and installation instructions; the flares are designed to be installed with rivets but can be fully bonded if you prefer a "rivet-less" look. The installation requires modification to the front bumper, front fenders, and rear fenders, and the rear fenders will need to be cut and welded.